Ever since King Solomon built the Holy Temple on Jerusalem’s Temple Mount, Jews around the world have seen the holy city as the core of their lives. Jews from every continent on the globe have always prayed three times a day facing Jerusalem. Jews from Yemen, Ethiopia, and Lithuania; Jews from Morocco, Spain, India, Poland, and Russia. No matter where they are born, no matter where they die, all Jews have Jerusalem in common. 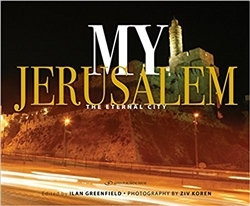 MY JERUSALEM features a unique collection of photos by one of Israel’s most recognized photographers, Ziv Koren. Here are the people of Jerusalem: the real, everyday people who live in Jerusalem; those who work in Jerusalem; those who worship in Jerusalem; and those who exercise their freedom to demonstrate in Jerusalem. 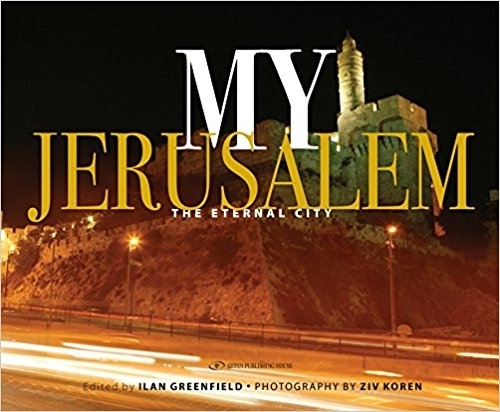 This stunning book is a must-have for everyone whose heart beats to the rhythm of the world’s holiest city.